Many may have seen him, but even more will have heard him. The sympathetic German is a sought after cat in the German and international music scene for quite some years. 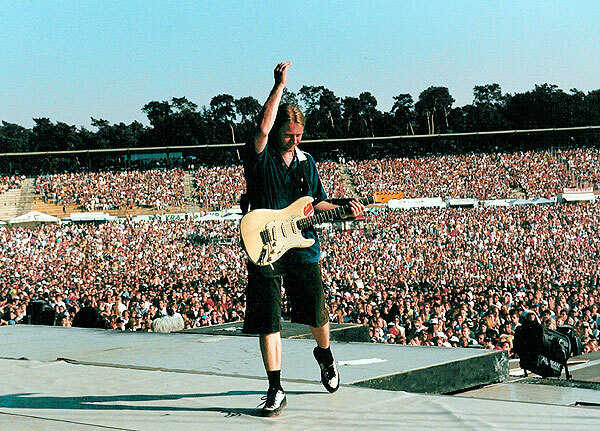 1997 he was awarded "best german Rock-Pop guitarist, in 2004, the 50th birthday of the Stratocaster, as the final winner of an europewide competition he was called "Stratking of Europe". He is resposible for some jingles (f.e. the top german sports show "Das Aktuelle Sportstudio" (ZDF), film- and serial-stoundtracks ( "Die Oase" (The oasis), a big city eco-thriller, "Hart an der Grenze" (On the cheap replica watches edge), both by ARD). He as well played with international greats like Stewart Copeland, Don Airey, Mel Gaynor, Percy Sledge, Bobby Kimball or Hazel O' Connor, German acts like Purple Schulz, actor/singer Uwe Ochsenknecht, the Rainbirds, Bastiaan Ragas, No Angels, Planet Claire or Tic Tac Toe. On their sucessful tours Thomas had the possibility to play his guitar to a younger but surprisingly enthusiastic audience. 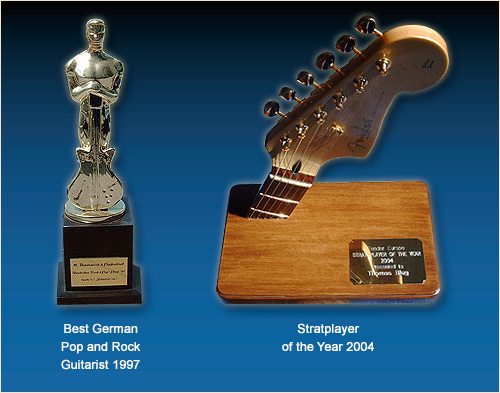 Thomas released 3 Studio CDs: "The Beauty of Simplicity", "Electric Gallery" and "21st century guitar" - poppy catchy melodies meet here the typical rounchy, bluesy rocking sound of his Stratocaster. In 2002 introduced the Thomas Blug band with some of europe’s finest instrumentalists with cheap replica cartier watches dutch legend Thijs van Leer (also known as bandleader in Focus) on B3 Organ and flute, Raoul Walton on bass, and Wolf Simon on drums. To be seen on his fourth masterpiece "Thomas Blug band live in Holland" available on DVD and CD. 2009 the Thomas Blug Band released the brandnew CD "Soul & Pepper. Together with Trevor Wilkinson Thomas developed the Vintage "Thomas Blug Signature" guitar according to his specs in 2009 cheap replica watches.